£50 non-returnable deposit required to secure your booking. The balance to be paid six weeks before arrival. The balance can be paid in installments if this is helpful to you. 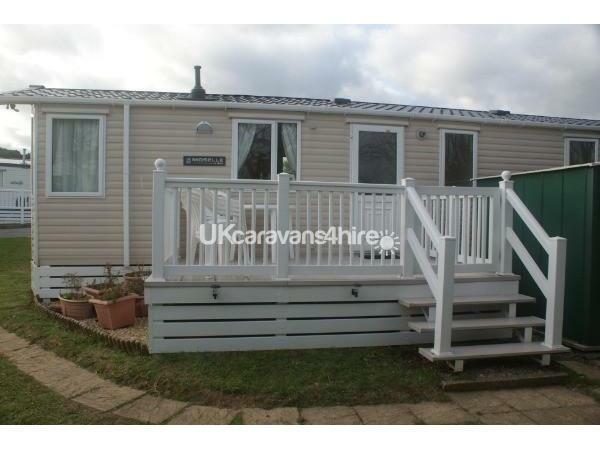 Our caravan is available for weekly bookings only (Saturday to Saturday). Sorry but we do not offer short breaks or other start days. 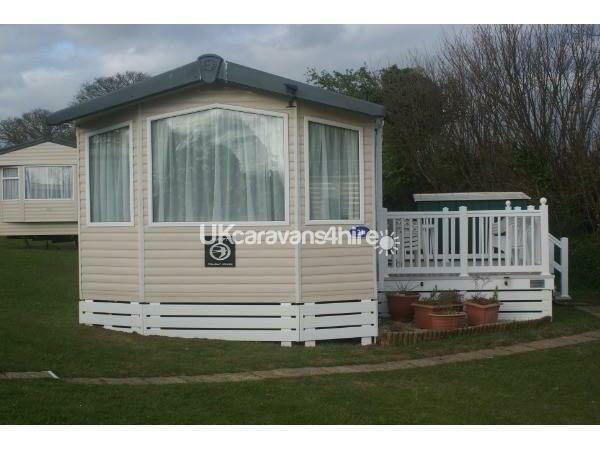 Our generously sized Swift Moselle caravan has central heating and double glazing, making it ideal for early and late season holidays. 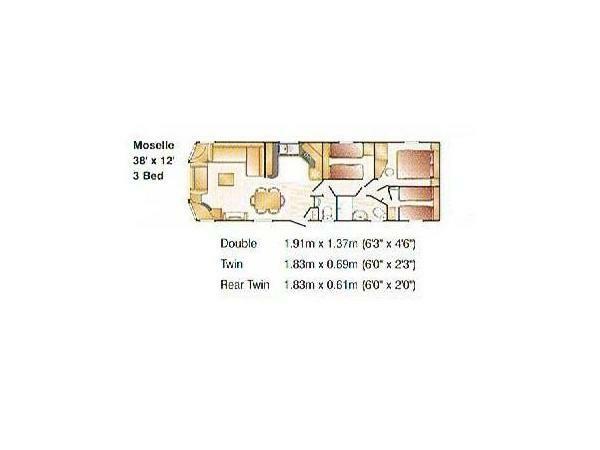 There are three bedrooms, one double with 4'6 double bed and good sized wardrobe and dressing table as well as bedside lockers and over the bed storage. The other two twin rooms both have free standing beds and bedside locker. 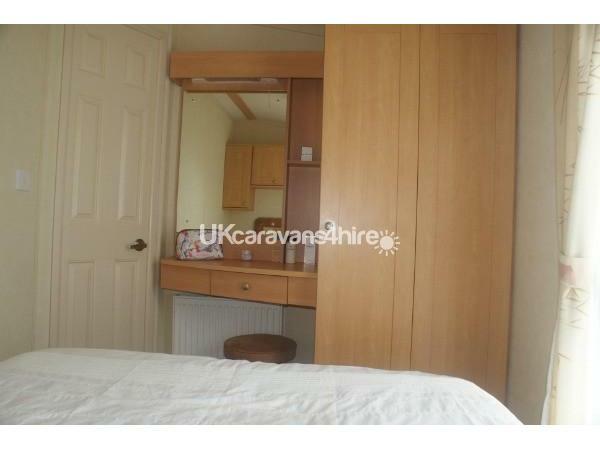 The rooms also have a wardrobe and over the bed storage. The shower room has a larger than normal shower cubicle with thermostatically controlled shower. There is a wash basin, toilet, radiator and electric shaver point. 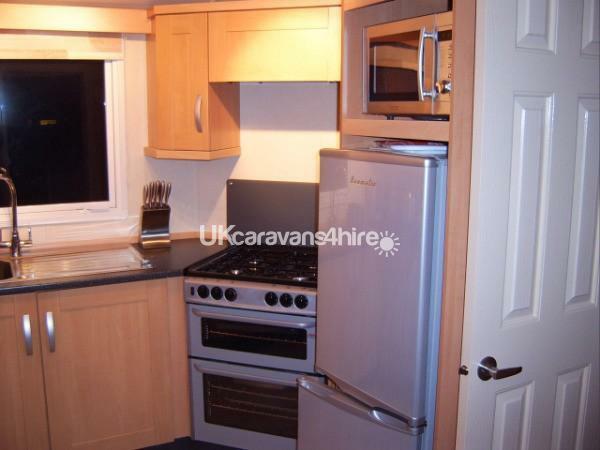 The kitchen has a full size Stoves gas cooker, fridge freezer, microwave, toaster and kettle. As we enjoy cooking, the kitchen has a good selection of kitchen equipment - we often make cakes when we are on holiday. There is a dining table with six chairs, where we sit eating breakfast looking down the valley to the sea and watch the large variety of birds eating the food we leave out for them. 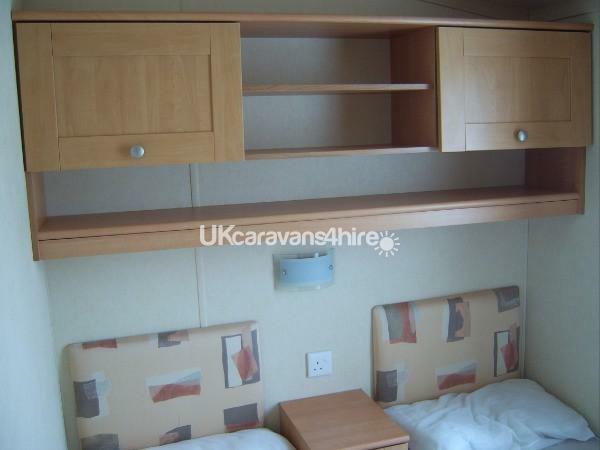 The lounge has a corner unit which seats at least four and there is also a two seater sofa. There is a flat screen TV which has built-in Freeview and DVD player, as well as a CD/radio. There is decking outside with table and chairs where we sit with a glass of wine, taking in the lovely view. The caravan is on the edge of the site in a quiet position. It is only a short walk to all the amenities. There is ample parking next to our caravan. There is free WiFi at the club or you can buy time on the Caravan Club WiFi system, which allows you to use laptops etc in the caravan. We regularly use the Caravan Club WiFi when we are at the caravan. Some of the park facilities require passes, which can be obtained form reception at £5.00 per person per week. Gas and electricity are included, as well as all the bedding. All you have to bring is towels and tea towels. Additional Info: Football pitch, two outdoor sports courts. Indoor soft play area. Outdoor playground with equipment. Had a great week away. 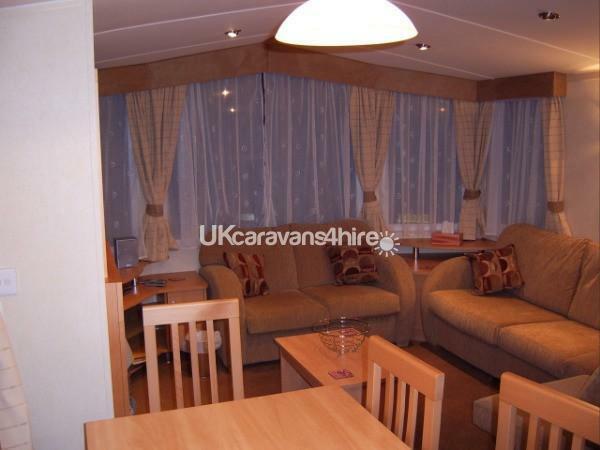 Lovely caravan, clean and tidy. great to have more pots and pans than what you would normally get if booked directly with site. Great to have the essentials (tea/coffee/quash for the kids) provided. Location of the caravan was good, nice view I think if the hedge was cut....Worth the money. Thank you. 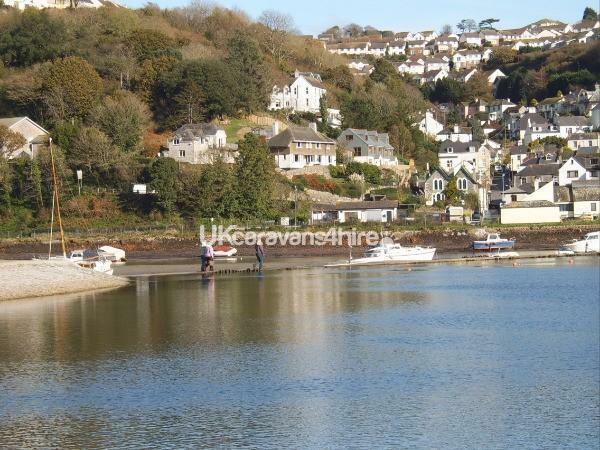 Great caravan in a lovely location. 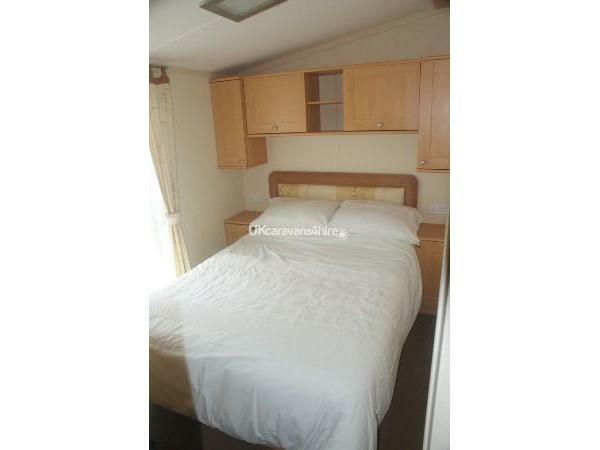 Price was great value for money and area surrounding caravan was very peaceful. Kitchen essentials (black bags, tea coffee etc) were provided which was a big help too. Overall very pleased with caravan. Thanks again. We are pleased you enjoyed your holiday. Thank you for your kind comments and hopefully you may book our caravan again.